Yes, today, it’s been 20 years since the first part of the Who Shot Mr. Burns? mystery aired, and the dramatic summer which ensued threw up more wrong answers than not. Interesting factoid, one person actually correctly guessed Maggie the night after broadcast but the show’s producers couldn’t contact them after the summer because they had used a then not-defunct college email address. Anyway, what happened was this: Mr. Burns brought tons of misery to the town and trying to block the sun out was the last straw, before he tried to take Maggie’s candy and sh- someone shot him, bringing the end to season six. 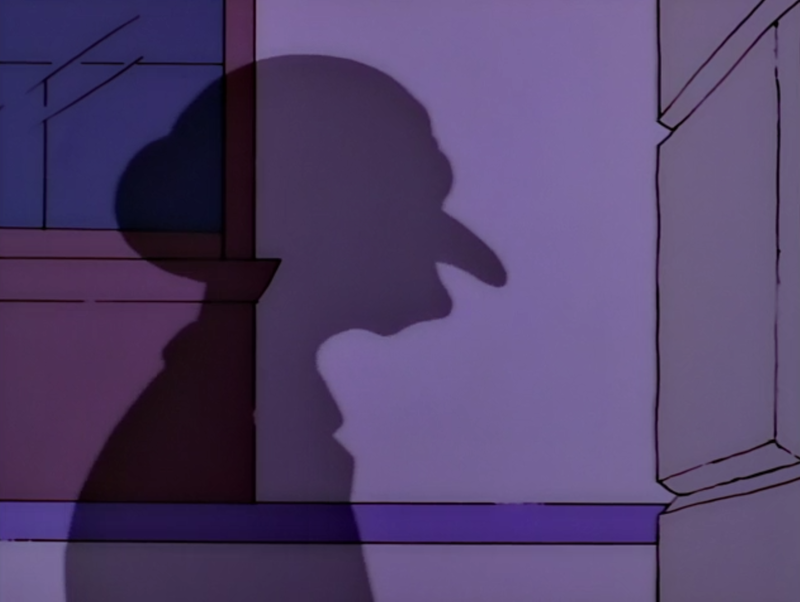 It was Burns’ shadow… sorry, I’m still thinking it’s the summer of 1995. Anyway, let’s move on from the tin foil hats and onto a behind-the-scenes look at the Simpsons. Ish. In 2000, we were brought “Behind the Laughter”, a mocumentary show highlighting the Simpsons’ success and the fallout from their unprecedented popularity (if they made an episode today like this, I’ll be highly likely they won’t mention this, or the episode will be popular itself, just check out the poor ratings), and then being brought together again with a phony awards show, also bringing an end to season 11, or as Homer implies in the episode, the penultimate season. OK, Marge seems to be impressed by something and Tabitha is looking very lovingly at Homer. Can I say “OK…. ?” again? 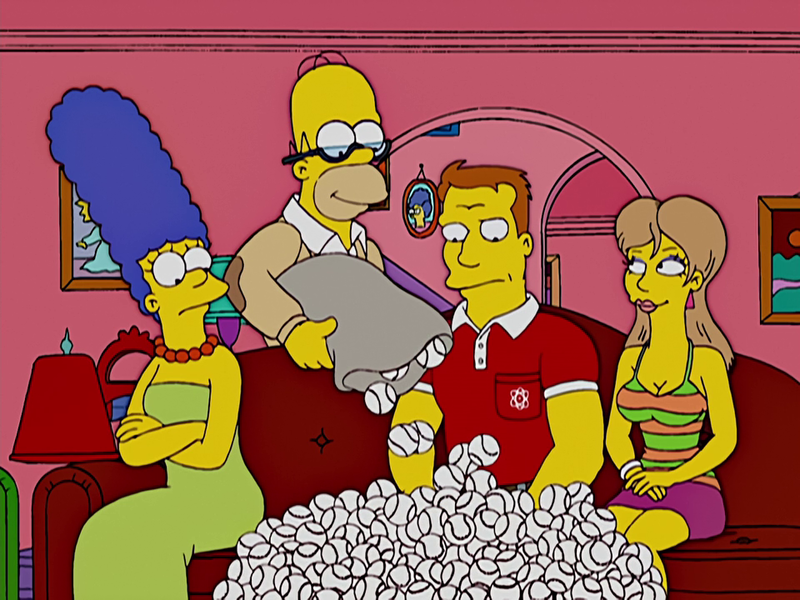 And now, in 2006, as we move forward into one of the more zany plots of this era, Marge and Homer play marriage counselors to a football player and his promiscuous wife, when both couples end up separating due to an awkward Hoemr-given neck massage to Tabitha (the football player’s wife, keep up! ), bringing an end to season 17 and a Duffman. Also on this day in 1952, Mr. T, who guest starred in “Today, I Am a Clown” as himself was born, and as was Richard Appel, writer and producer who worked on 99 episodes, was on this day in 1963. See you next week for a sad Throwback Thursday.